After a big storm, your home or roof may be in bad shape. Dealing with the repairs alone can be a daunting task, and adding the hassle of filing a roof damage insurance claim only makes it more stressful. The next time your roof is damaged, don’t stress. Call Burell Built Exteriors, LLC at (865) 385-6926 and ask about our services to assist in filing a roof damage insurance claim with your insurance company. 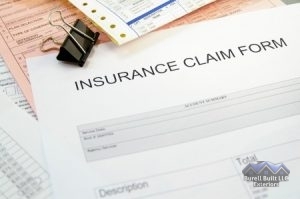 Let Us Help You File a Roof Damage Insurance Claim After the Next Big Storm. While the process of filing a home insurance claim feels overwhelming, the reality is, it is very simple. In fact there are only three main steps. As soon the storm has passed and you’re wondering if your roof was damaged and how bad the damage is, call our office and schedule a roof inspection. The sooner you get this inspection set up, the sooner we can get the process started and possible prevent serious damage to many other areas of your home. Once our roofer has finished the inspection, we will give you a report of the damage we found. This needs to go in with the form you fill out and mail into your insurance company. Your insurance adjuster will review the paperwork you sent in. If everything looks good, they will come out to your house and examine the roof themselves. It is highly recommended that the roofer who initially inspected the roof be present for this meeting. Once the adjuster has finished their inspection, they will review everything once more and approve or reject your claim. If the claim is approved, you will receive a check for half the approved amount to begin working on repairs. The other half will come once the repairs have been completed. Posted in Uncategorized on October 12, 2017 at 4:14 pm by Burell Built Exteriors.